Most people will consider downsizing their home at some point in their lifetime. There are financial benefits, lifestyle benefits, and more. 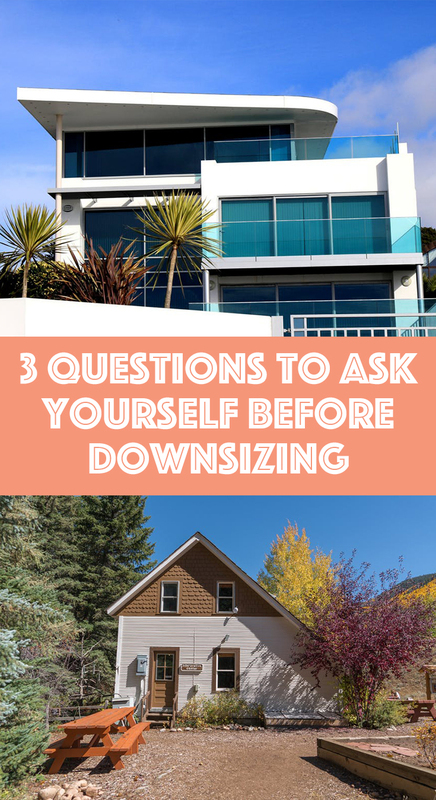 If you’re unsure about downsizing, first ask yourself these three questions. Are you willing to downsize your belongings? In purchasing a smaller home, you may be shocked by how much less space you have. Think through your furniture and your current storage space. Think about how full your drawers, shelves, and closets are. Are you willing to give away or throw away enough of your possessions to fit in a smaller home? Will your furniture still work or do you need to invest in smaller couches and chairs? What financial gains are you looking for by downsizing? Do you have debt to pay off? Want a smaller mortgage? Looking to put aside more for your retirement? These are strong reasons to downsize. Set a goal or motivation in mind before you downsize when considering your financial position – that way you can work towards it and not divert your extra money into places you’re not intending. Are you sure you’re ready to live in a smaller space? Many people downsize when their children move out of the house. Consider if you’re truly ready for that step. Do you often host guests and will need extra guestrooms? Will your college-age children still spend summers at home? Are you currently using your extra space in ways you would hate to lose? Not ready to give up your craft room, your personal office, or your game room? These questions will help you feel more confident in your decision on downsizing. Consider these questions, talk it over with your family, and go for it when you’re ready!